Analyst group MoffettNathanson says smaller operators might be better off without pay TV services. Here’s why they are almost certainly right. Analyst Craig Moffett suggests that it is time for some service providers to consider dropping pay TV from their offering. 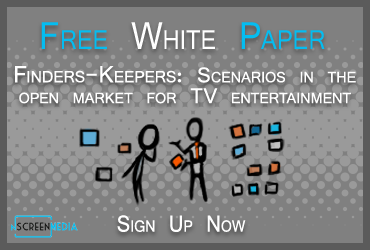 His report says that large operators probably aren’t ready to begin to abandon television. They’re only losing a small number of subscribers. For example, Comcast lost 1.7% of its pay TV customer base last year. However, smaller operators are losing far more. Cable One lost 10.3%, and Mediacom lost 5.5% last year. Mr. Moffett goes on to say that it may not be a bad thing if smaller operators abandoned pay TV services and focused on broadband. The problem for smaller operators is that they cannot make money anymore on pay TV. Cable One told MoffettNathanson that it loses money on every pay TV subscriber. To understand how smaller operators ended up in this position, let’s look at the profitability of Comcast’s pay TV service. The amount Comcast spends to license the TV channels that make up its pay TV offerings has been growing ahead of inflation for years. Back in 2014, average revenue per unit (APRU) for video services was $77.20. To pay programming costs, Comcast spent $36.99. In other words, 48% of ARPU went to pay for the programming. In Q4 2018, ARPU was $84.60, 10% higher than back in 2014. However, the cost of programming grew an eye-popping 35% over the same period to reach $50.06, or 59% of ARPU. In other words, Comcast saw an 11% reduction in profit margin between 2014 and 2018. Comcast’s reaction to falling margins is to focus on more profitable customers, according to David Watson, Head of Comcast Cable. It’s not clear his strategy is working. Comcast video ARPU, which measures the average revenue paid by video subscribers, is falling. It peaked in Q3 2017 at $85.8 per month and had fallen to $84.6 in Q4 2018. Were Mr. Watson succeeding in retaining the most profitable video customers, ARPU would increase as less profitable ones leave. Unfortunately, smaller operators have probably seen much bigger increases in programming costs than Comcast because they lack the bargaining power a 20-million-strong subscriber-base provides. As well, they likely saw margins reduced by much more than 11% over the last five years. In this light, it is no surprise that Cable One says it loses money on every video customer. I have heard similar complaints from other smaller operators. Smaller operators could well be better off abandoning traditional pay TV altogether and focusing on higher margin broadband services. They would see overall revenue fall, but the profitability of their business should improve dramatically. They can also work with vMVPDs like YouTube TV and Sling TV to bundle their services with broadband and continue to offer double and triple play services. Doing this should help to address competitive threats from other operators that still offer traditional pay TV and broadband bundles. Escalating programming costs have seriously compromised the profitability of traditional pay TV services. Many smaller operators are likely losing money on every pay TV subscriber because of the high programming costs. Smaller operators might be better off abandoning pay TV, focusing on broadband, and building double-play bundles with vMVPDs.